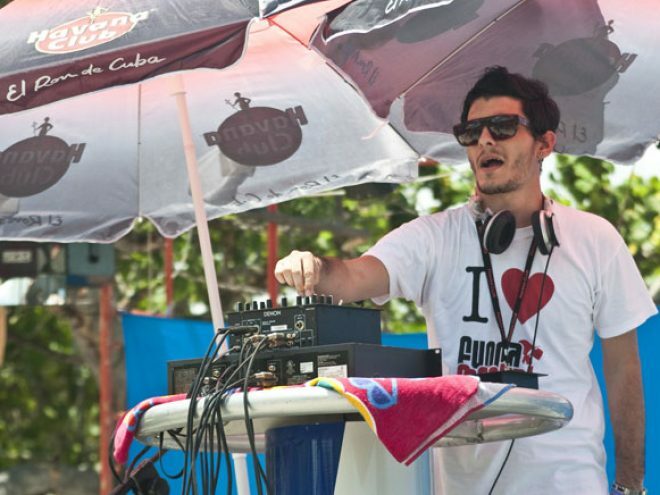 Founded in 1998, the Rotilla Festival is the only event of its kind in Cuba. It takes place every year in August and for three consecutive days, it promotes and exhibits the Cuban artistic avant-garde. It is non-profit, and free and open to all kinds of audiences. What started out as a promoter of solely electronic music, as of 2008, the program was enriched with bands of very different formats, but always under the principle of promoting the alternative world within the arts. In addition, since its birth, the festival has been managed independently by its founders and with virtually no collaboration from the Cuban authorities. This has been our policy and our position. We wanted to grow from within ourselves, develop and produce an authentic movement especially oriented to young people, taking into account their actual expectations and demands. Thanks to the artistic proposals, the national and international media coverage, and the recognition it has acquired overseas, the past festival in 2010 had a record attendance of 20,000 people, which positioned it as the oldest festival with the largest audiences of young people in the island. The many films and videos made during these festivals are proof of this.